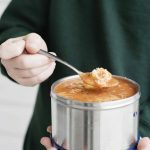 Creamy Tomato Tortellini Soup - MOMables® - Good Food. Plan on it! 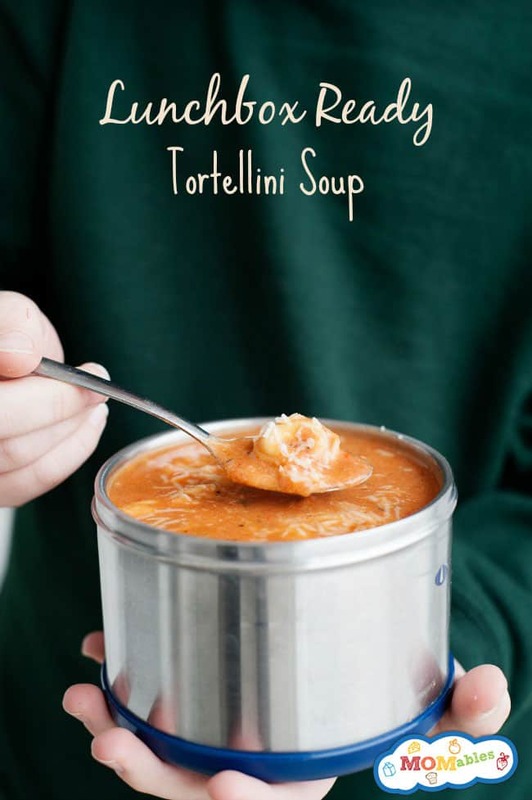 Creamy Tomato Tortellini Soup - MOMables® - Good Food. Plan on it! Need to get supper on the table in 30 minutes? This Creamy Tomato Tortellini Soup is the answer to this mealtime dilemma. We all have those evenings where we need to get supper on the table quickly. This recipe came about from exactly one of those nights. My kids love marinara sauce with tortellini. One evening, when I went to make supper, I found both these ingredients in the my pantry, but not enough tortellini to serve everyone. So, why not add more marinara? This soup came together quickly, with the Italian flavors and tortellini kids love. If you happen to have leftovers, they make a great thermos lunch for the next day. For more easy recipes your entire family will love, head over to Momables and sign up for our meal plans. Want to see how easy it is to make this recipe? Check out this quick video! 1/2 pound. Italian sausage, optional. In a large soup pot, brown sausage over medium heat. Add chopped red pepper, sauté till tender. Drain any additional grease from sausage. Add crushed tomatoes, basil pesto, broth, half and half, onion powder, and Italian seasoning. Stir in tortellini and parmesan cheese. Continue to simmer until cheese is melted and tortellini is cooked. Season to preference with salt and pepper. Serve in individual bowls and top with remaining parmesan cheese. In your email, you mentioned using coconut milk instead of half and half. I was at the grocery store and saw that there is drinkable coconut milk (shelved with almond milk and such). I use coconut milk in a can for cooking. 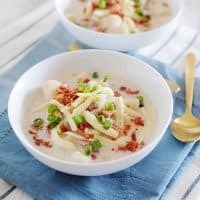 Which type would work best with this recipe? Or are they the same thing? Angie, coconut milk meaning the “canned” milk. The one in the dairy is a coconut “drink” product. Essentially, the refrigerated one is diluted from the can. You need canned coconut milk for this one.